A while back, I wrote a post on what I EDC (Everyday Carry). While that list included many items which I do find useful, a number of them are only useful in an urban area. Further more, when one is climbing mountains, any extra weight makes things a lot harder. Here is a list of the probably-still-more-than-necessary equipment I use while hiking. To be honest, I’m far from being an experienced hiker, but as someone who loves gear, I thought I’d still write this. Top: Cheap & thin t-shirt (mostly the breathable sports type). Something I don’t care about if it gets dirty or torn. If I’m climbing high altitudes, I may wear a singlet underneath. Bottom: I wear a pair of cycling shorts (tight), which prevents chaffing and leeches, and can also be used as swimming attire. 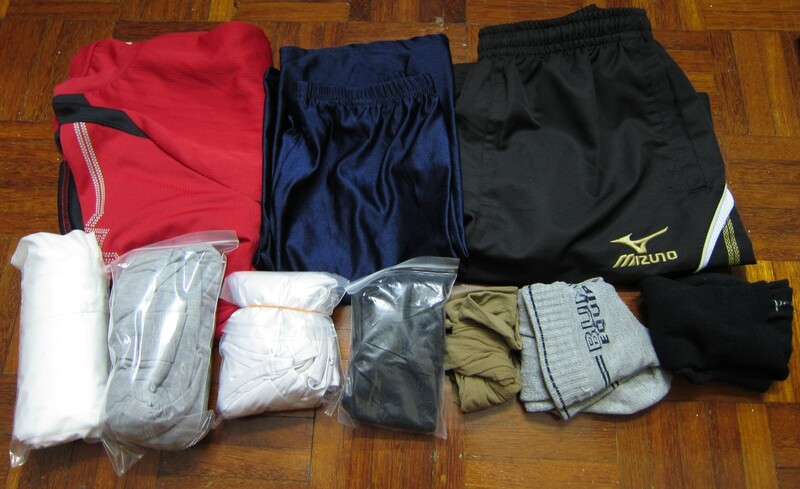 On top of that, short sports pants mostly, but for high altitudes (or very narrow trails) I wear trek bottoms. Socks: 2 pairs of socks for greater comfort, and if I’m going somewhere leech infested, I add 2 pairs of thin stockings in between the socks to prevent leeches from getting to my feet. 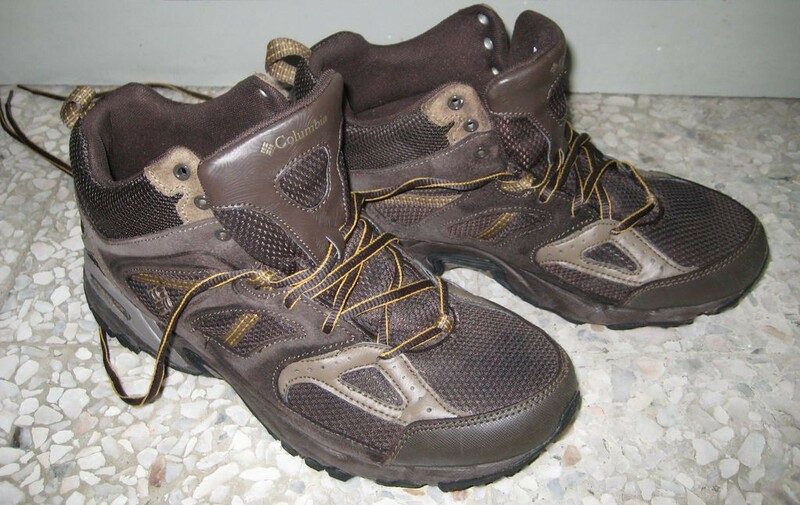 Shoes: A pair of Columbia hiking shoes. Lightweight and decent ankle support, though unfortunately not waterproof. It does have a few flaws: the treads are too close together to be effective in the mud, and wear out over time. In addition, there isn’t enough protection near the bottom of the sides against roots/rocks. I also have a pair of kampung adidas, which I have not gotten around to using yet. While most mountains in Malaysia don’t get very cold, if it rains heavily, summits can be EXTREMELY windy and cold, to the point where you start shivering badly. I’d estimate with wind chill, you may experience chills < 10 degree celcius. There are times I’d consider taking my lightweight down jacket or a fleece T-shirt, but generally a singlet + long sleeve singlet + t-shirt + raincoat is sufficient. Samsung Galaxy S Plus GT-i9001 – Nav Software: Google Maps & Navigation, GPS Essentials, Bluetooth GPS, My Tracks, EveryTrail, Compass, SkEye. The main reason I went with Android was the fact that I could easily use external GPS receivers and remove the battery (I carry an extra). Topographic map of the area – Sometimes I get lazy to print it out, but honestly it’s good to do so, in case the GPS breaks. Although it’s next to impossible navigating in the jungle anyways, if you’re lost, unless you’re very experienced. 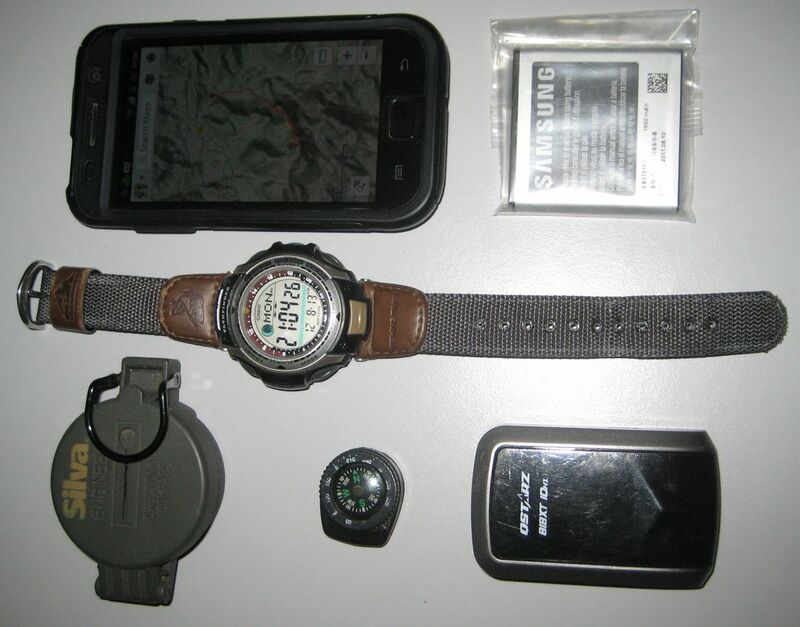 IMPORTANT:My GPS, smartphone and camera go into waterproof pouches to protect them from rain & rivers/streams. One definitely can’t afford to have them die in the middle of a hike! 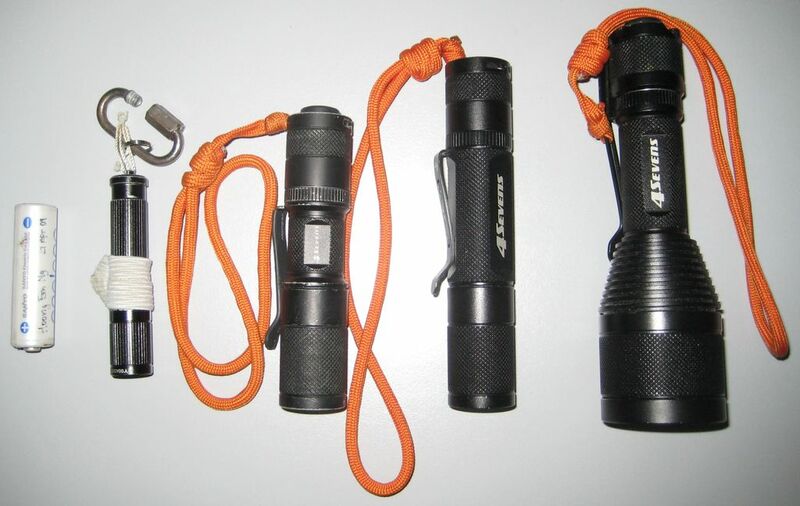 4Sevens Quark AA (0.2 – 170 lumens) – Main flashlight. Small and powerful, I run it on a Li-Ion. Soon to be replaced with a dedicated headlamp, probably the Zebralight H51F[w]. 4Sevens Quark 123^2 (0.2 – 190 lumens) with headband – Secondary flashlight which I can also turn into a headlamp. I run it on a rechargeable Li-Ion cell with 2 spare CR123 cells in my backpack. iTP EOS A3 (max 80 lumens) – Backup flashlight, runs 1xAAA. I hardly ever use this (it’s really small & light) but it’s there if I need it. 4Sevens Quark Turbo X 123^2 (max 500 lumens) – I only carry this if I’m going somewhere I know I’ll need a lot of light. Benchmade 556 Mini-Griptilian – A small but sturdy 3″ knife. Personally, I find it on the heavy side, but it serves me well. 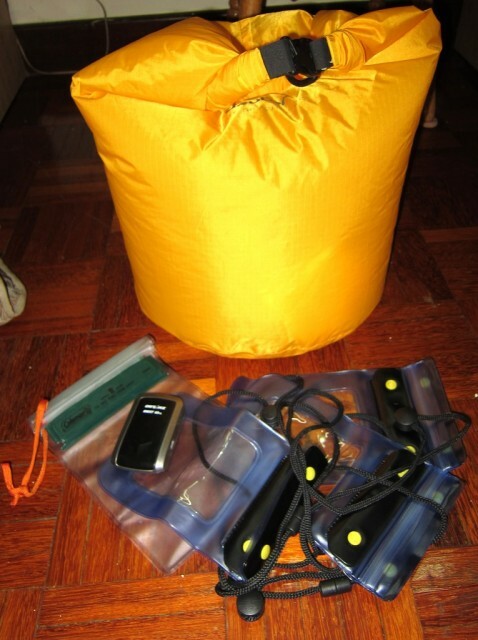 I keep it in a drybag (or wetbag) as tropical jungle humidity can ruin even 154CM steel. 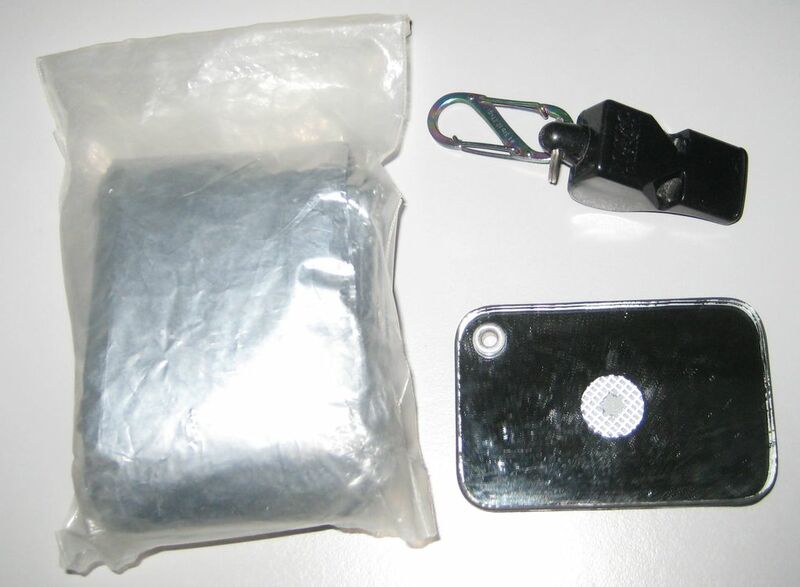 Alternatively, a 2.5″ SOG Flash 1. Leatherman Juice Multitool – Decent for its size, although I don’t really like the can opener and scissors compared to those in Swiss Army Knives. Recently, I stopped carrying this as I didn’t find the need for pliers that often. These days, I generally also pack a small 10″ machete/parang, Chandong style. While it’s really not big enough to do proper cutting, it’s still ok in emergencies, or clearing the odd bush or branch. I decided that if I got a bigger parang, I’d never carry it because of its weight! Depending on the length of the trip, I may bring my set of sharpening stones – 4″ DMT diamond stones (photo below). At home, I use the Spyderco SharpMaker, and so keep all my knives with 15°/20° edges. If you’re going on an uncleared path or need to do any serious work, a machete is essential. Unfortunately, I don’t have one right now. Food tends to vary a lot, but I try to carry carbohydrate-rich snacks, and fatty food. This tends to be foods like nuts (cashew is my favorite), peanut butter/nutella sandwiches, oat bars, dried fruit, etc. 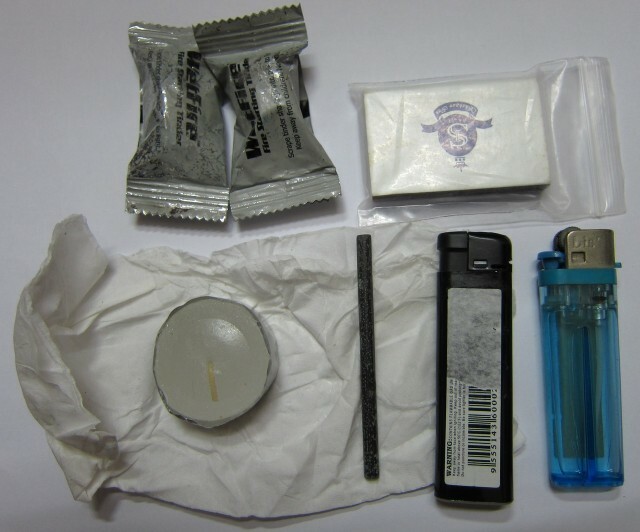 Now and then, I carry a small alcohol stove I made (a penny stove), with about 60ml of methylated spirits and a small mess tin, however, I’ve generally found this unnecessary as I bring foods which do not need cooking and already carry a good amount of water treatment devices. 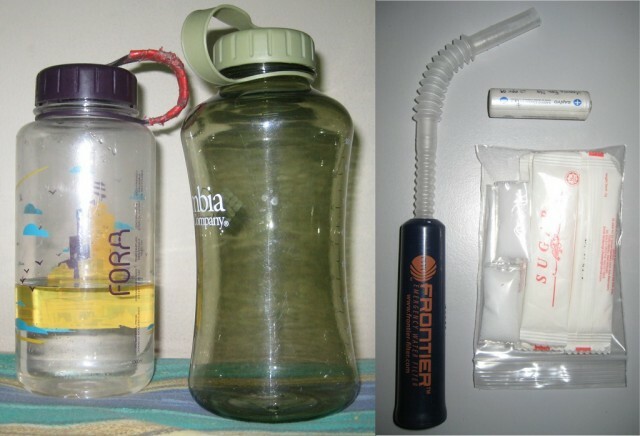 For hydration, I sometimes carry the 2x 1 liter bottles pictured above, but these days tend to just use the standard lightweight plastic bottles (600ml and 1.5L), to carry anywhere between 1.2-6L of water. I tend to sweat a lot, so all liquid I carry is isotonic (I make my own isotonic drink with 50ml ribena + 1/4tsp salt per liter of water). On long climbs, one may have to refill water, so I carry a few measured packets of salt, each to be diluted in 1 liter of water, and 30 grams of sugar, as well as 75g of glucose drink mix. If I don’t consume enough salt, I start getting muscle cramps. 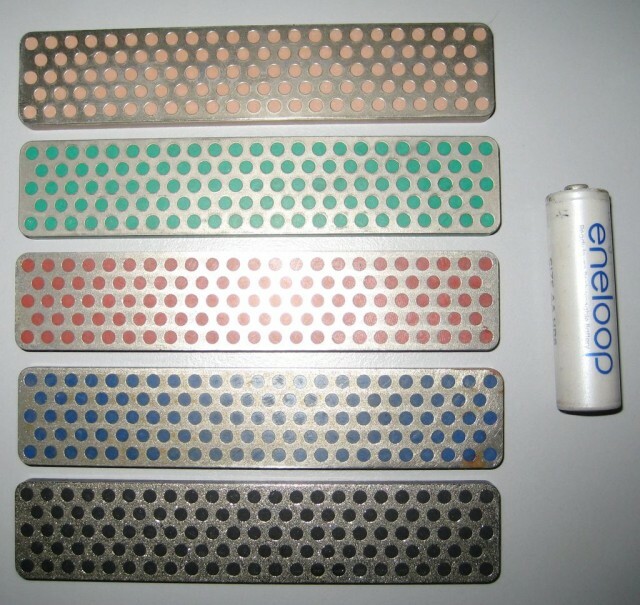 LifeStraw 0.2 micron filter, good for 1000L, pictured below. One thing I lack currently is a proper hydration pack, which would make life much easier! 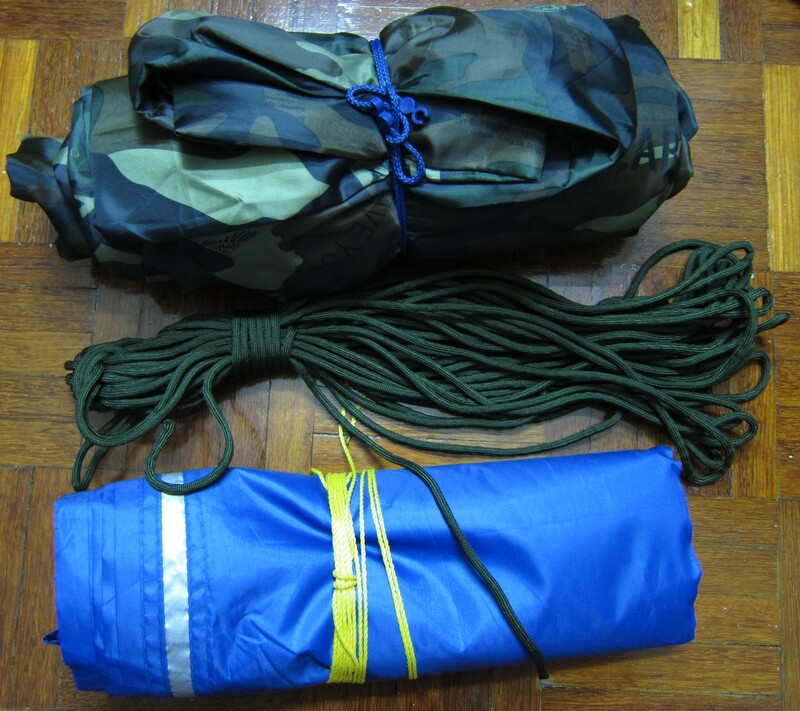 I carry a 7’x10′ lightweight tarp/flysheet, to which I’ve attached 4m of mini paracord (2mm) to each of the 6 attachment rings. In addition, I carry a hammock with an attached mosquito net. With this lightweight setup, I can pretty much camp anywhere if needed. (I.e. in case I can’t cross a river due to high levels, etc.) 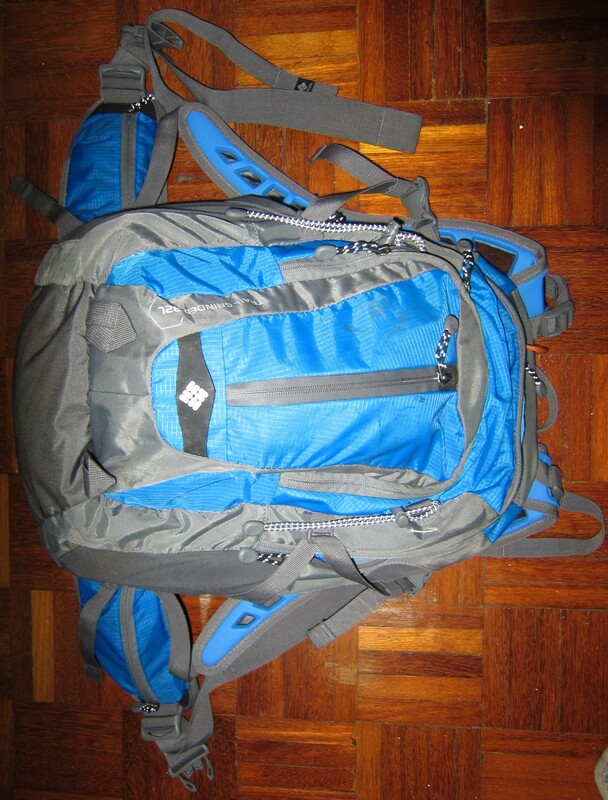 Of course, it does add about 1.2kg to my overall pack weight. I’m a huge fan of ropes and knots, and even though I don’t do any climbing, I always have cord with me. On person, I always carry 10m/30ft of orange paracord. I’d love to carry a good amount of proper 6-8mm static rope for me (i.e. Amsteel Blue), but costs just don’t allow me to do so right now. I generally carry a wooden hiking stick, which has many uses besides being a hiking stick. Extra eyeglasses & swimming goggles – For full UV/impact/wind protection and swimming. Insect repellent (I have 2 types – Mosiguard [lemon eucalyptus oil] & DEET) – VERY important in the jungle! 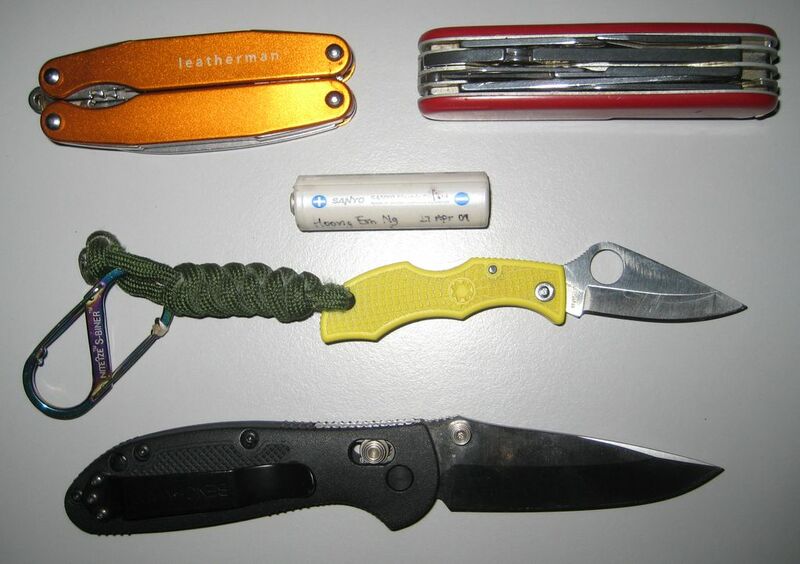 There are a few other small items I carry around but they’re not really related to hiking so I didn’t bother mentioning them. In general, my pack’s weight without any liquids tends to weigh in about 5-7kg. There are times when I imagine I’d be able to complete a hike much easier if not for the extra weight on my back, but honestly, I consider it good training, and it’s comforting to know I have most of the essentials on me.